Lovely, bright yellow-green fern with wide, deeply laciniate leaves. Partial shade and moist soil. A real favorite. 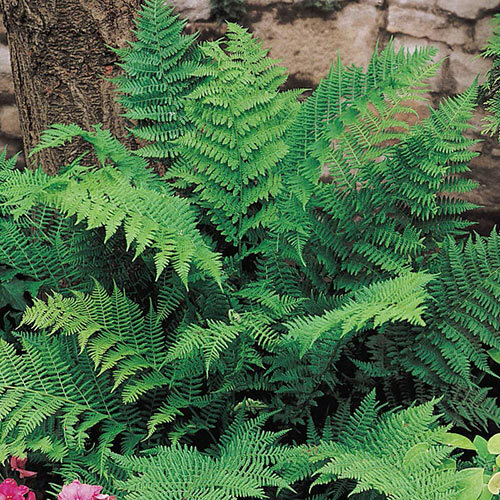 Whether used in borders or as a background, ferns enhance any garden with their gracefulness and their beautiful varying shades of green. Easy to grow almost anywhere… thrive even when other plants fail. Planting InstructionsSoak roots before planting. Loosen soil well. 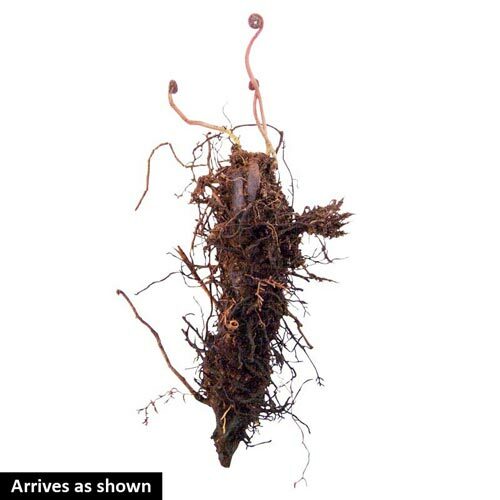 Plant with eyes just below soil level and water well after planting. Soil RequirementPrefers moist conditions, but also grows well in average garden soil as long as it is not allowed to dry out during spring and summer. Winter CareMulch the first winter to prevent frost heave of young plants. Foliage TypeFinely cut graceful fronds. Soil RequirementAcid, humus enriched moisture retentive soil. Should not be allowed to dry out. Additional InformationBest to give a light mulch to conserve moisture and protect surface roots. 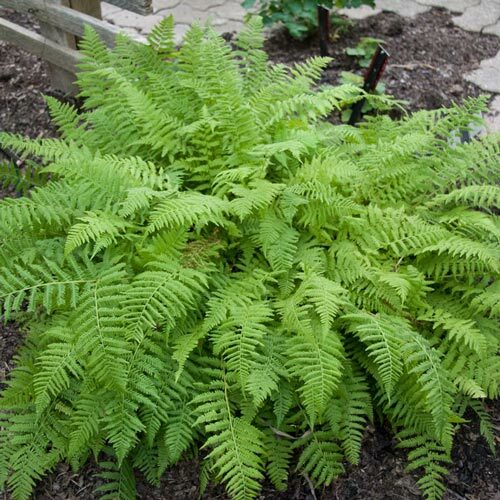 Unique CharactersticsA beautiful, elegant fern that performs gracefully in shady gardens or woodland settings. Plant several for a groundcover effect in a shaded area. Cut a frond or two to add to cutflower arrangements for a lovely green background.